(CNS): Full story — Justice Charles Quin took over four hours on Thursday to read his verdict in which he found 28-year-old Raziel Jeffers guilty of the murder of Marcus Ebanks. The judge said he was satisfied that Jeffers was one of two gunmen who had opened fire on a group of young men as they sat in a West Bay yard in July 2009. Jeffers was also convicted of trying to kill four other young men, including Adryan Powell, who was paralyzed as a result of the multiple gunshots he received on the evening of the shooting. 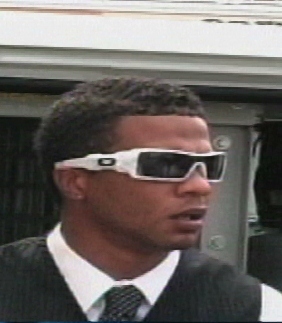 The judge said the evidence given by Powell was clear and consistent and he was satisfied that he had identified Raziel Jeffers as the lead gunman in the joint enterprise. As he handed down the verdict, he urged anyone who knew anything about guns to go to the police. Jeffers, who was smartly dressed in a white shirt with a blue patterned tie and dark grey trousers and had short hair, remained impassive as the verdict was delivered and made no comment but nodded when the mandatory life sentence for the murder was handed down. Because the judge was satisfied that Jeffers was part of a joint enterprise to kill on the night in question, he was also found guilty of the attempted murder of Rod Ebanks, Joe Bush, Jose Sanchez and Adryan Powell, who was only 14 at the time of the shooting. In addition, Jeffers was convicted of possession of an unlicensed firearm. As he read his verdict to the court, Justice Quin pointed to the senseless loss of life and injuries inflicted in the brutal and indiscriminate killing, which took place in the yard of 9 Bonaventure Lane at the home of Joseph Hurlston. “Another young man is dead in the Cayman Islands, one is in a wheel chair and one is facing a life sentence because of guns,” the judge said, as he implored those in the community who knew anything about people having guns or where guns were hidden to go to the authorities. In his detailed review of the evidence the judge said that as well as finding Powell’s evidence to be “clear and honest” he also accepted the evidence of Megan Martinez, Jeffers' former girlfriend, whom he described as a forthright witness. Despite some confusion in her evidence and the fact that she had originally lied to the police, he said her descriptions of the firearms that she had seen Jeffers handle were compelling. “It would take an extraordinary degree of imagination to invent such detailed evidence about the firearms,” he said. Once she had decided to relate her former boyfriend’s confession to a police officer that she trusted, the judge said, she had been consistent with her evidence. He also found that her reasons for the delay in coming forward plausible and said there was no evidence that her statements had been coerced. Justice Quin noted that there was supporting evidence for her testimony in the telephone records and he did not think that the gunshot residue on the packet of cigarette papers found in Jeffers pocket when he was arrested after the shooting got there through transference. He rejected suggestions by the defence that the police were biased against the defendant or that Powell was telling lies or unable to make a clear identification. He said it was understandable that the teenager would have been scared to say who had shot him at first given the terrifying, “ruthless and violent” attack that he witnessed and suffered. However, he noted that Powell had revealed who his attacker was just six days after the shooting. The judge stated that when all of the evidence against Jeffers was taken together, it was very damning. The crown had proved that he did have the means, opportunity and motive as there was evidence before the court of a serious and hostile war between the Birch Tree Hill and Logswood gangs, as Jeffers' intended victim was Jose Sanchez. “There was evidence before the court that the defendant was intent on hunting down Jose Sanchez," the judge stated. Sanchez was a member of the opposing gang and had also had an affair with Jeffers' former girlfriend while he was in jail. Ironically, Sanchez had escaped unscathed on the night of the shooting because he had hidden in the house with Joe Bush, who was also unhurt when the gunmen indiscriminately opened fire. Rod Ebanks, Marcus’ brother, sustained four gunshot wounds but later recovered from those injuries, while his brother, whom, Martinez revealed in her testimony, Jeffers had mistaken for Sanchez, was pronounced dead that night at the Cayman Islands Hospital. Adryan later found out he would be confined to a wheelchair, paralysed from the waist down as a result of the bullet that had entered his spine. The judge commended the bravery of the witnesses in his verdict. “I have been impressed by Adryan Powell and Megan Martinez, who had the courage to come forward about this brutal attack,” the judge said, adding that he was satisfied beyond reasonable doubt that Jeffers was one of the gunmen. Speaking in the wake of the verdict, Superintendent Kurt Walton, the senior investigating officer in the case, echoed the sentiments of the judge about the witnesses. Walton added that Adryan will, perhaps, never walk again as a result of the brutality. “Here was a 14-year-old boy in the prime of his life, ready to face life, and struck down in a hail of bullets just because he happened to be hanging out next door talking to his neighbours and friends at the wrong time,” he said, adding that Marcus Ebanks' son would never know his father. “This verdict reflects the entirety of the evidence which was gathered by the police after a long and methodical investigation. Every officer on this case contributed to the success of this investigation. Finally, the prosecution team was first class, using all available evidence at its disposal,” Walton added. The second gunman in the shooting, who was referred to in the trial as “Ozzie from Scranton”, has never been charged in connection with the case. After Bush was gunned down Andrew Baptist and Preston Rivers were both shot and killed two and four days later respectively, also in West Bay. 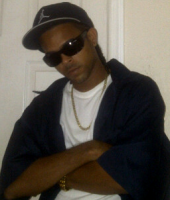 Jason Christian was shot dead as he sat in a white van in CranbrookDrive just off Crewe Road just two days after that. Keith Montague received multiple gunshot wounds but survived his injuries after flagging down a nearby police vehicle. 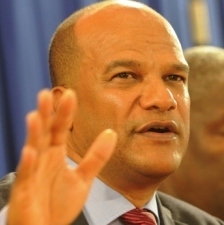 (Jamaica Observer): A National Security Policy to tackle Jamaica’s ballooning crime rate with an intent to reduce murders from the current three per day to less than one over the next five years is to be made public next month, National Security Minister Peter Bunting announced yesterday. The announcement comes in the wake of police statistics which show that 165 persons have been murdered in the first seven weeks of this year, 30 more than the corresponding period last year. But according to Bunting, the plan is to reduce crime to first world levels by 2017. For this to be achieved, Bunting said, the murder rate will have to fall from the 41 per 100,000 ratio in 2011 to 12 per 100,000. This, he added further, would result in the maximum number of murders being 321, which would be less than one per day. "We are now slightly over three murders per day, which means we need to reduce murders by 134 per year over the next five years," Bunting told journalists at a special Jamaica House Press Briefing in Kingston.